Old but not abandoned. This fireplace was built in 1933 restored in 76and 2015 after the flood. It was originally attached to a picnic shelter that collapsed during the flood of 2013 — at Lavern M Johnson Park. 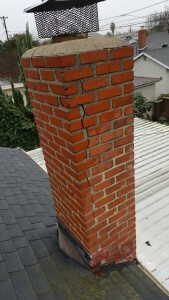 We went out and did a video inspection on the chimney described in the above report. Unfortunately, there were a number of large cracks in the flue as well as one in the breast plate in the firebox. The repair estimate was $5,000. 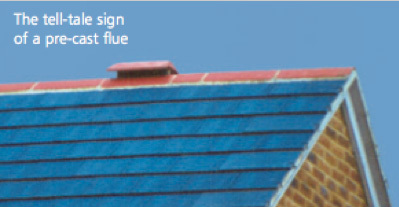 If you are a buyer’s broker, please make sure you ask for a video inspection of the chimney. Two weeks ago, we were called to inspect a 1989 property in Trabuco Canyon. It also had a pre-cast chimney, and it also had significant large cracks. The repair estimate was $2500. Fortunately for this homeowner, there was not a crack in the breast plate which would have made the chimney unrepairable (teardown). 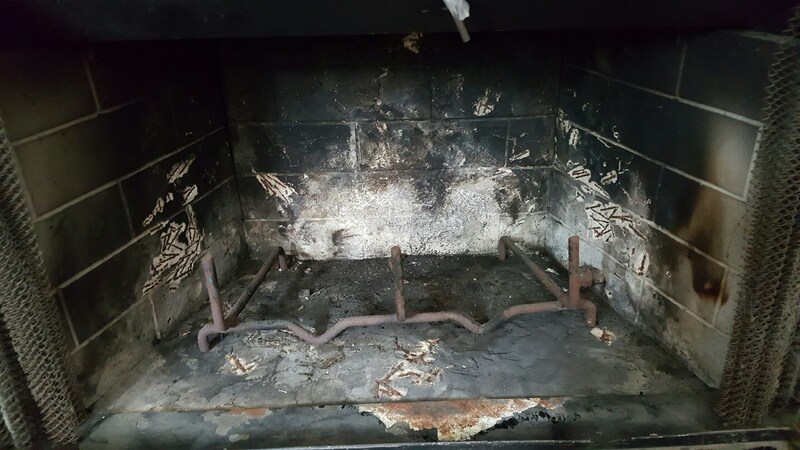 The new homeowner said the seller “refused” to have the fireplace inspected. We charge $169 for video inspections. I think that is a small investment to avoid a possible $20,000+ teardown and rebuild of the fireplace. 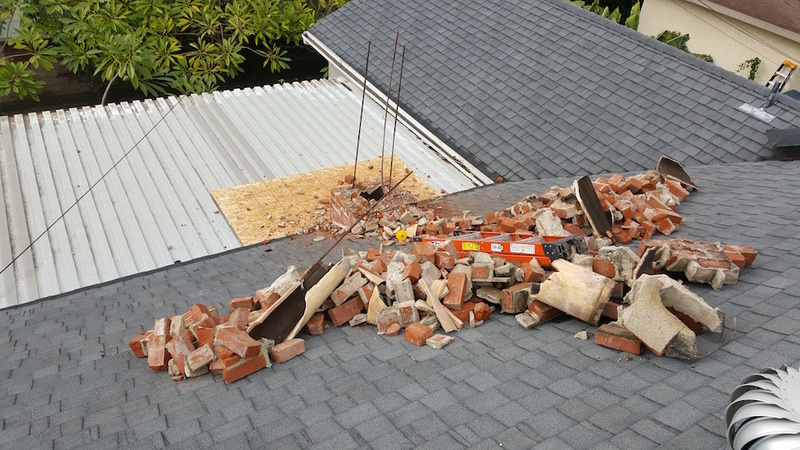 I don’t think many buyers would be happy to find out after they closed escrow that the inspection company had failed to warn them about this possible hazard. Besides it being a costly repair, even more important is the fact that if the new owner decides to have a fire in the fireplace, he/she may burn down their house. 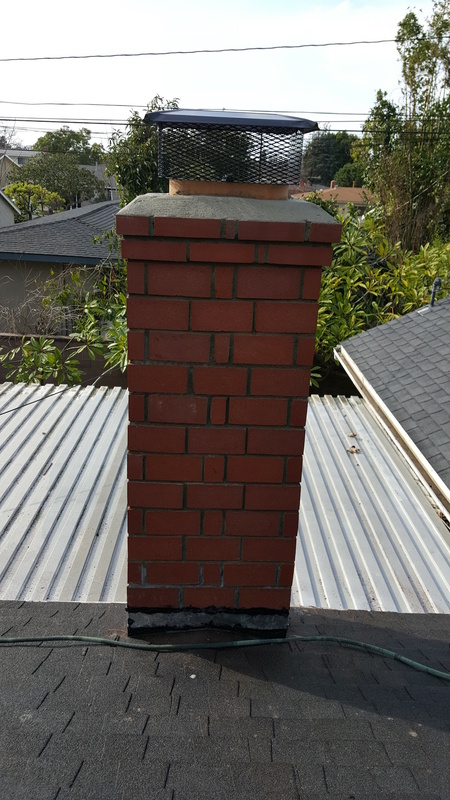 You can identify these pre-cast chimneys which are located in developments throughout California, in homes constructed between 1968-1991 because the chimneys, in most cases, will look like an off-white colored brick was used. This is not painted but the color of the calcium aluminate cement. Also, they will usually be located on an exterior wall of the home, and typically the chimney appears to be very narrow above the wider shoulders of the chimney, and it is much narrower than a masonry chimney. Many of the pre-cast chimneys in Orange County were manufactured by Rampart General. It’s recommended that chimney’s are inspected every year. Almost everyone waits until the fall, so it’s difficult for the chimney sweep to service everyone well. It really makes a lot more sense to do them at the end of the burning season in the event there are any repairs that need to be made before the unit may be put back into operation. 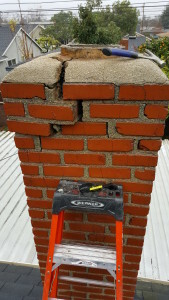 The last thing you want to hear the week before the big holiday party is that there are repairs needed to your fireplace before you can use it. 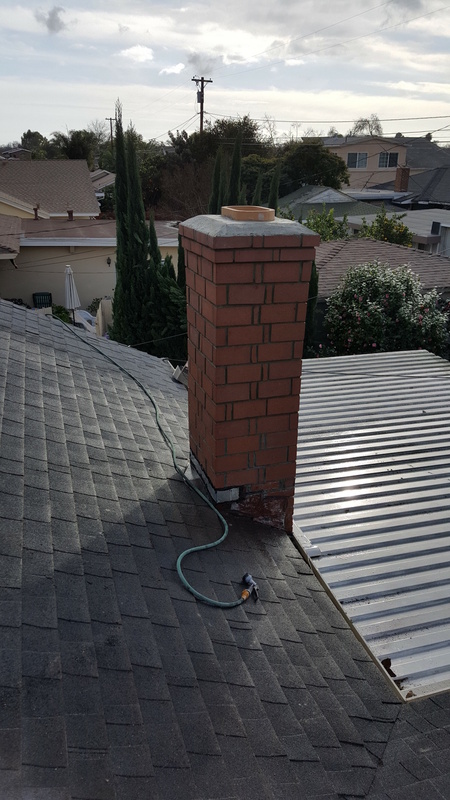 Here is a before and after video of a chimney being cleaned in Costa Mesa, CA. 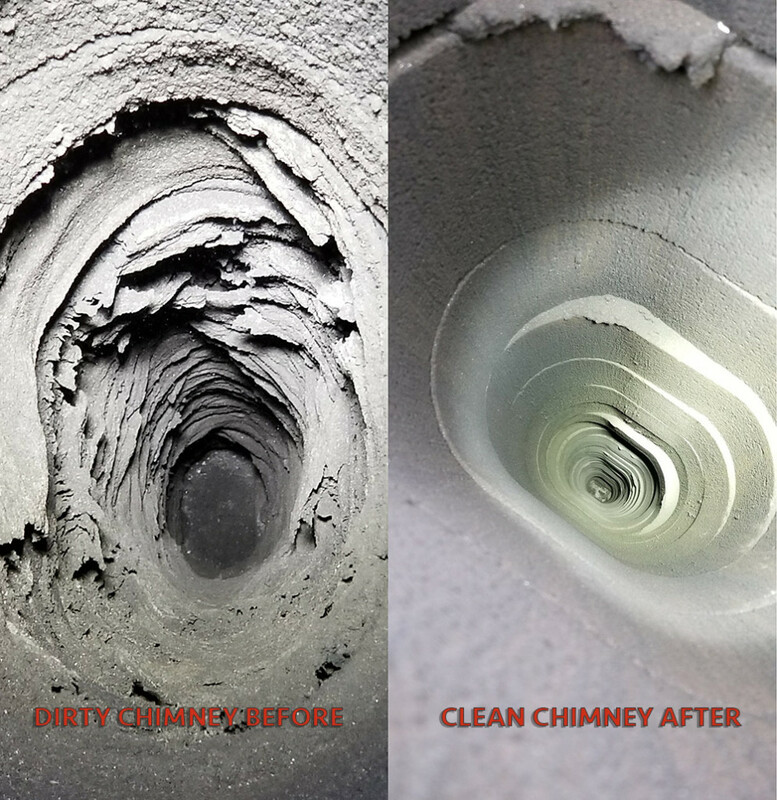 Here is a before and after of a very dirty chimney we recently cleaned by chimney sweeping. What a difference! 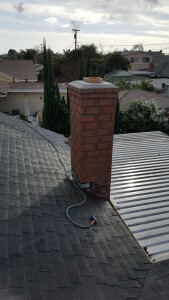 Here is a video of a dryer vent cleaning done in Chino Hills, California. 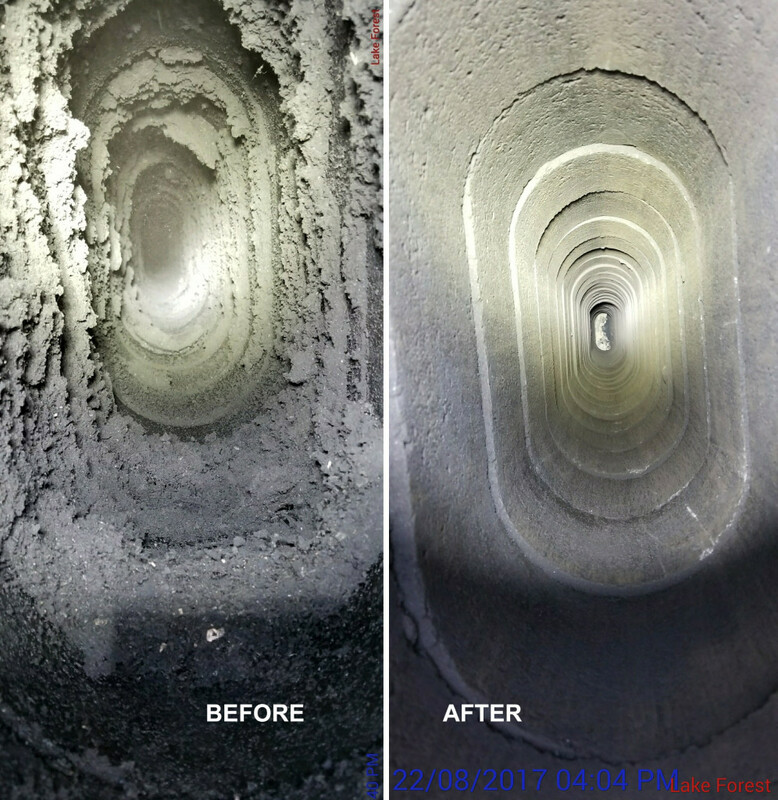 Here is a dirty chimney we cleaned in Lake Forest, Ca. If your chimney looks like this (before pic) give us a call! When choosing a home to purchase, today’s home buyers have many important decisions to make. When any home being considered has a fireplace, wood stove, or flue, insisting on a thorough inspection of these features is critical, especially when buyers intend to use these features as a supplemental or emergency heat source. If your are considering the purchase of a home with a fireplace, wood stove, or flue, here are three excellent reasons to get them professionally inspected by a certified inspector first. Because these features deal with heat and open flames, fire safety is the most important reason to insist upon a thorough inspection. 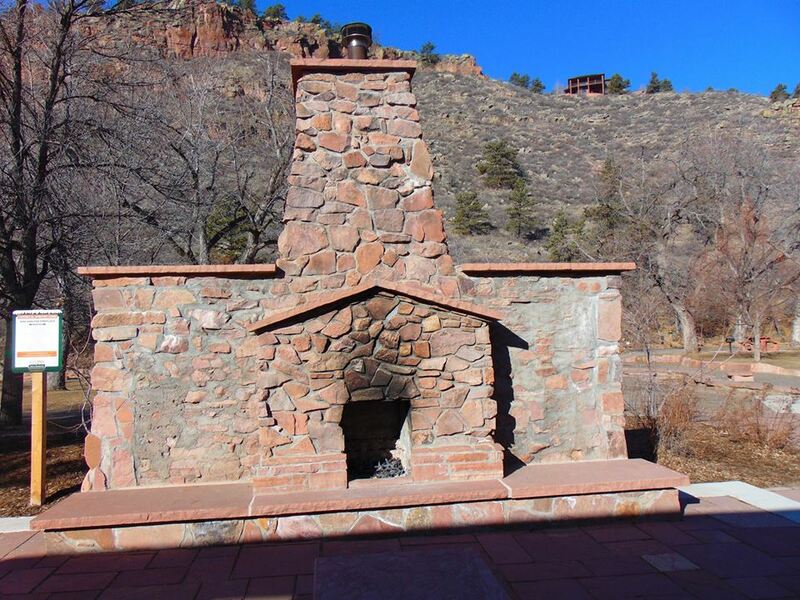 Flues for wood stoves and fireplaces often have buildups of a substance called creosote. 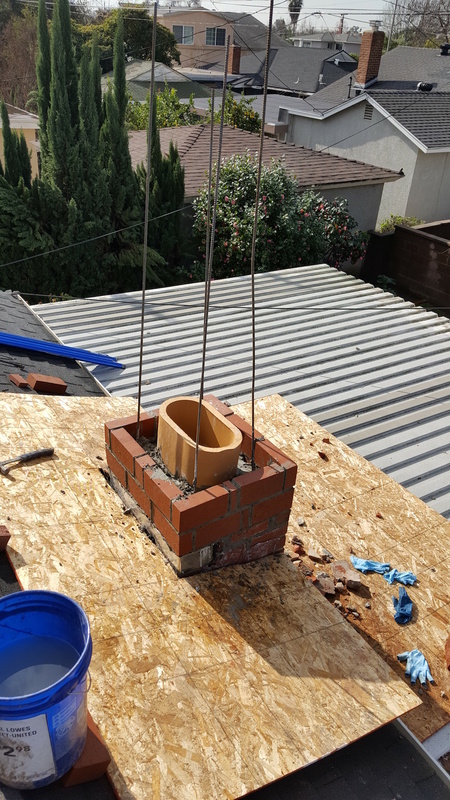 We recently did a chimney repair job. Below is the photos of the chimney repair. Here is a video showing a clogged dryer vent and the cleaning of the vent. © 2014-2019 Lucky Sully Chimney Sweeping & Cleaning. All rights reserved.